A few weeks ago, we introduced the Circle Asset Framework, a tool for prioritizing new crypto asset listings across our various products. We applied this framework to assess projects across a few key categories — fundamentals, technology, people, business model, and market dynamics — and we are ready to announce the addition of a new asset to the Poloniex family: EOS. Since acquiring Poloniex five months ago, we’ve primarily focused on improving the core product experience and stabilizing the performance of the exchange. We improved deposit and withdrawal reliability, updated our customer onboarding process and cleared over 175,000 legacy support tickets. 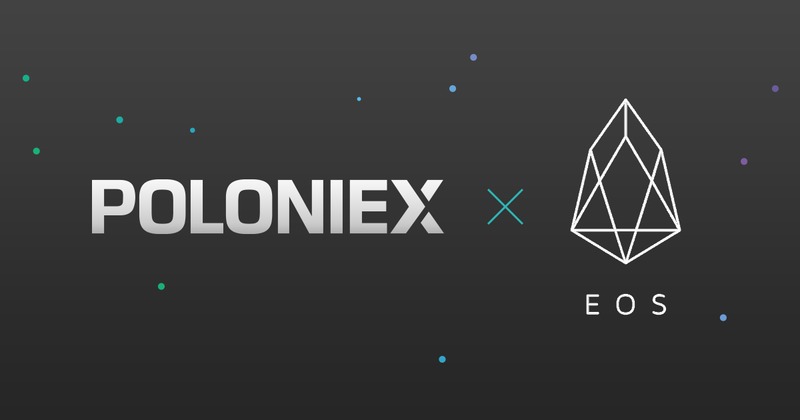 We are now also investing in new ways to grow Poloniex into a premiere destination for crypto asset trading — the addition of EOS is just the first step. EOS in an open-source blockchain protocol developed by Block.one. EOS provides developers with a platform on which general purpose, decentralized applications can be built. EOS tokens grant access to bandwidth and storage on the EOS decentralized operating system. Following the token sale for the ERC-20 EOS token on the Ethereum blockchain, EOS has been live on its own blockchain as of June 14th, 2018. Originally published at blog.circle.com on July 31, 2018.